Welcome to R. Lacy Interlocking Pavers! Maintaining the resale value and curb appeal of your home can be challenging, especially with the normal wear and tear that accumulates over the years. That's why R. Lacy Consulting provides expert consultation services for your home or business to help you make the right decision when choosing your next concrete, construction or masonry project. Our extensive knowledge and comprehensive approach can help guide you through a wide range of options such as concrete pavers, retaining walls, design & build options, masonry repairs and much more! Over the years, we've learned the ins and outs of the industry and not only possess the knowledge and expertise to handle your project with efficiency, but also have the ability to resolve any issues that may arise during any stage of your consultation. 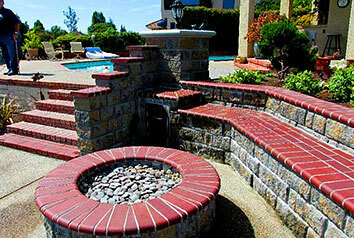 R Lacy Contracting/Consulting/Design and Supervision Services with R Lacy Subcontractors for your Hardscape Project. 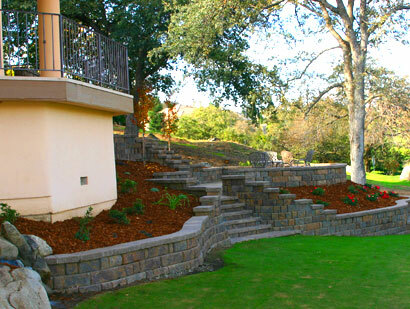 R Lacy has a number of Full Service Sub Contractors available for the Installation of Your Hardscape Project if needed. As a Master Mason, Certified Paver and SRW Retaining Wall Installer, R Lacy Consulting can be hired to train you labor force to Install your Hardscape Project with Best Practices as to Proper Installation Of Hardscape Products For The DIY Homeowner Project. 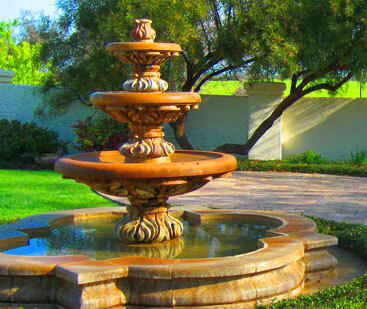 Use R Lacy Consulting for Design and Supervision Of Your Hardscape Project. If you are a Do It Your Self Type. R Lacy can provide the proper Training, Tools, Knowledge and Supervision for you to Install your Hardscape Project that you will be proud of and last for many years because of proper installation. Call for references, consultation and estimate.Or click here to request a free online estimate. Pavers are easily removed for repairs. Such as broken pipes or tree roots. The same pavers are placed back in place and you never see the repair area. Pavers are still looking good and have a 40 year color life. 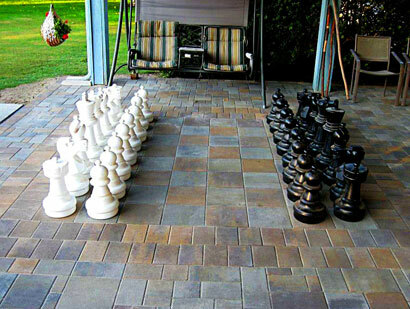 Paver installs can easily be added to or changed as your budget allows. Better for Patio’s, Driveways, and Outdoor Rooms because they have so much diversity and pavers come with a “Manufactures Lifetime Warranty” against cracking, when installed by a qualified paver installer, like R. Lacy Interlocking Pavers. 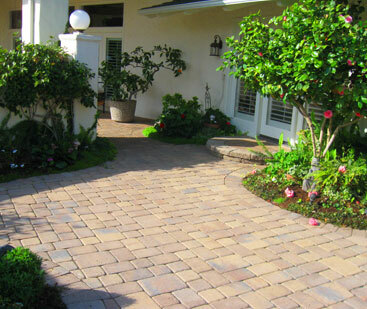 Pavers increase the value of your home. We installed pavers here in Fresno, CA. at Mariners point located in Woodward Lake in 1984. That’s 30 years ago. The stamped concrete at the entry next door at Chesapeake, has been replaced several times and sealer applied numerous times. The only thing cheaper about the Stamped Concrete are the “Free Cracks”. We have neverhad to do anything with the pavers. 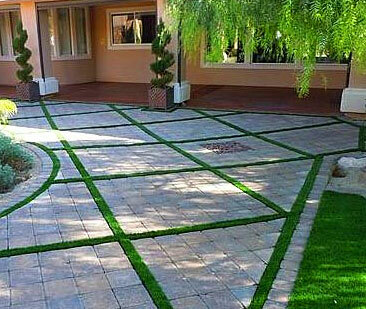 Pavers are durable and easy to maintain. With a simple sand stabilizer. Occasional sweeping and rinsing is virtually all that is needed to keep them looking good for a lifetime. Adding Value to your home. 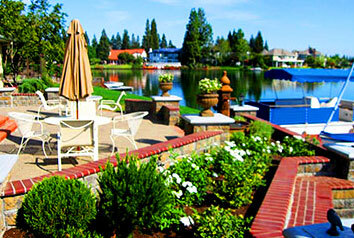 Instant curb appeal and Resell Value. R. Lacy Installs brick, stone, precast Too! 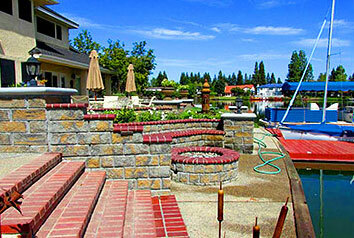 Check out the Paver Catalogs under Hardscaping. Go to Ideas at the bottom tab. Take some pictures. Make a plan. Create a list with everything you want to make that Outdoor Room, Patio, Front Yard Hardscape or Driveway enhance the value of your home. Yes we do Block Fences, Brick and Stone and Repairs Too! Need some Design Services? Fill out our online form. Let’s Get Started. Call for references, consultation and estimate. Or click here to request a free online estimate. R. Lacy Interlocking Pavers. 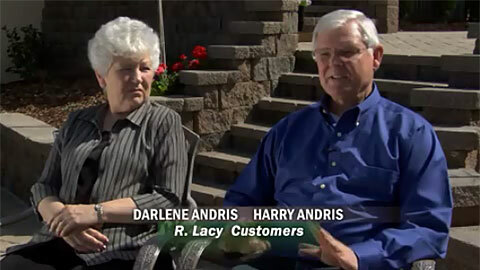 R. Lacy Richard Lacy since 1973.